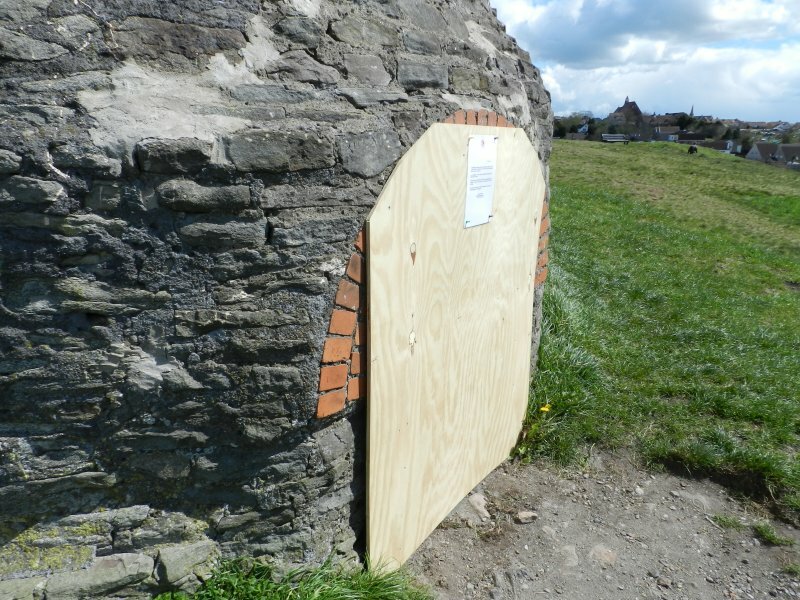 The entrance to the top chimney on Troopers Hill is being boarded up today so that no one can go inside. 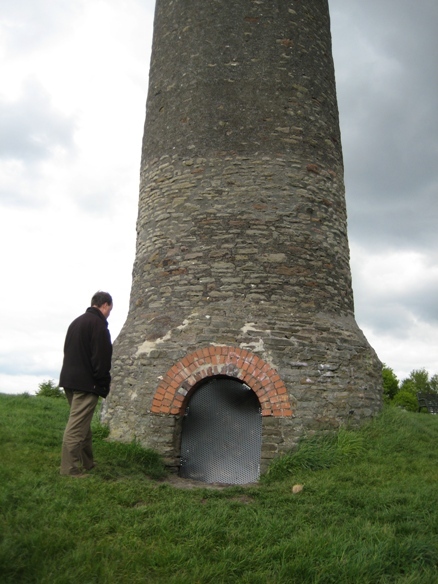 This follows an inspection of the chimney that showed that there is a small risk of stones or mortar from the top falling inside. Hello Rob; Deana here! I just wanted to convey how upset I am at the site of the boarded-up chimney. Whilst I appreciate what concerns there may be regarding loose stonework I feel that the wooden board is a total eye-sore and ruins the overall look of the chimney. If securing the opening is necessary can you or the council, not consider a wire mesh over it instead; allowing visitors to look inside at least? I agree it looks horrible. Once the Council had decided that it needed to be blocked off they had to get it done quickly, so they didn't have time to think about the appearance. We are now disscussing with them how to improve it. The current plan is to get the board cut so that it fits just inside the arch and then get it painted. The alternative is to get a gate with steels bars or mesh made up as you suggested. It would have to be a gate so that someone could go inside every so often to remove the litter that would inevitably get in there. Though the Council would have to be sure that it was safe to do that. 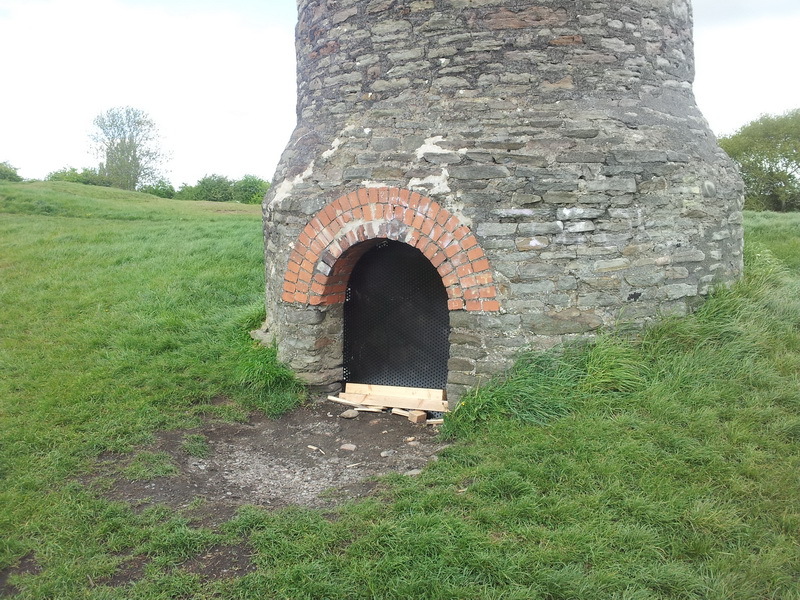 However the more important point is that the Council are looking after both chimneys and not letting them fall into disrepair. A rather nice and pertinent comment. It's a shame but this board is likely to be replaced by a board recessed into the hole and painted black to look like the original dark inside from a distance. Anyone got any thoughts? Sad to report that our urban art was short lived. The board was removed overnight. Can't find any sign of it yet. Guess somebody either took exception to it, or wanted it for themselves. Lasted just over 24 hours. This is why we can't have nice things eh? However, this board lasted less than 24 hours as a group of kids were witnessed destroying it on the Thursday evening. Words were had with them, but they legged it before any police presence turned up. The police have been given further information, but it is unlikely anything will happen as it was all after the event - unfortunately we weren't able to get photographic proof and even if they catch the offenders, they will just deny it. Ho-hum. Latest plan is now to fit a metal screen, hopefully recessed into the opening. Aesthetic concerns are now, unfortunately, likely to be the least of the contractors concerns although we have requested it is at least painted black if possible - so that it is not too visible from a distance. Due to be fitted Monday 13th all being well. So, the steel screen has now been fitted, and it is black. The contractors managed to recover the oak coloured board, which is in place behind the steel one. It seems to be pretty securely attached, but only time will tell. Of course, above all we hope that even this screen does not have to stay in place too long. The sooner the repairs can be carried out, the better. Not quite sure why they left the bits of wood you can see in the photo. Hoping we can remove those soon. >Tidy and neat on Saturday. You wouldn't know the chimney was closed off if you were looking up from say, Troopers Hill Rd or across the river. I think the "blot on the landscape" effect of the original boarding has definitely been solved. 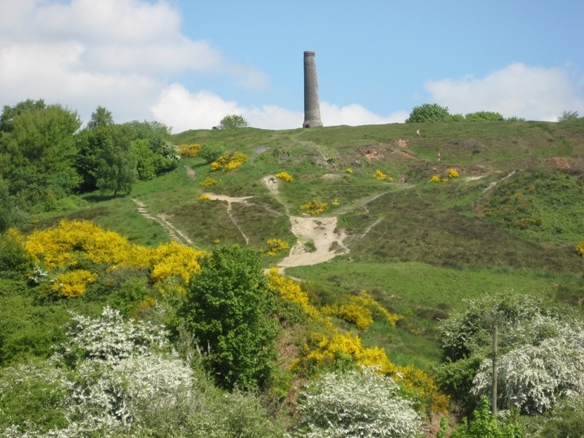 Here's my view of the chimney from afar.